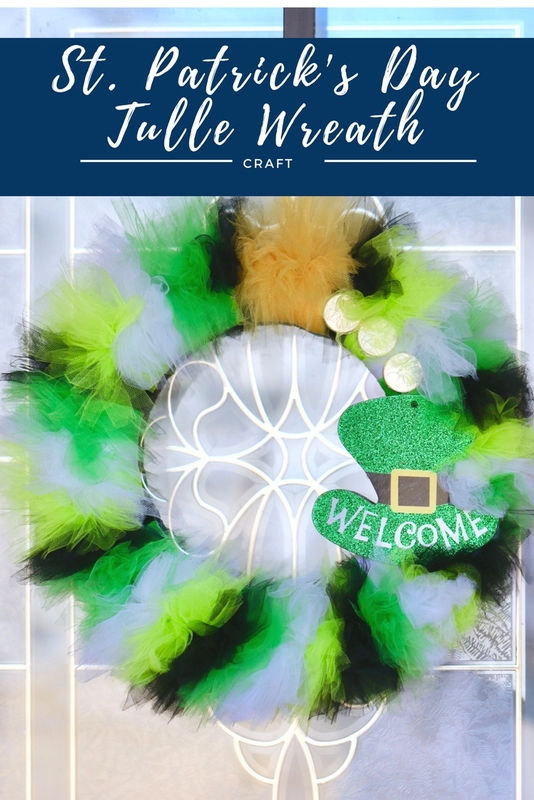 When I shared my Easter Bunny Wreath, I told you that I was working on something for St. Patrick's Day, and here it is! 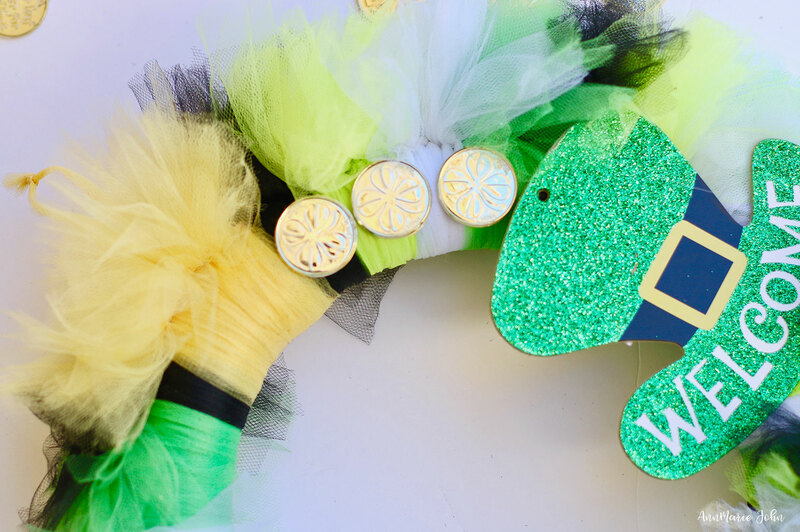 Our St. Patrick's Day Tulle Wreath with it's own little pot of gold. St. Patrick's Day doesn't make me go ooooh as the other holidays do. To be honest I don't really celebrate it. I don't wear green, go to the pub and drink, or even pinch the kids if they're not wearing green, and it's not because I'm not Irish. It's just that St. Patrick's Day doesn't thrill me. However, when you have kids, you fake it. 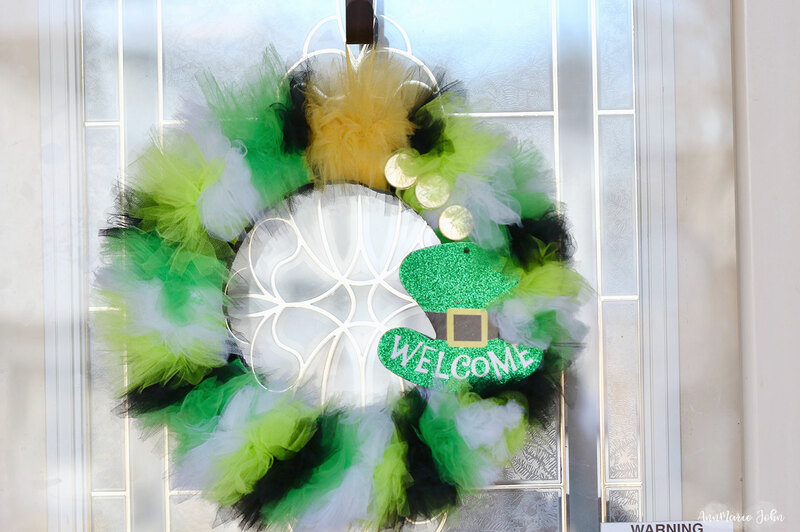 Since I decorate for my front door for the holidays, Madison asked if there was not going to be a St. Patrick's Day wreath, so I obliged. 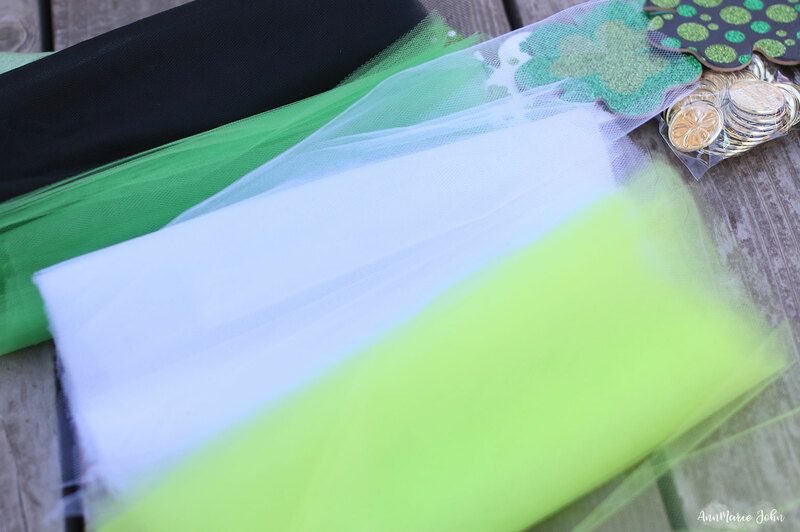 This St. Patrick's Day Tulle Wreath commenced, stopped, and was eventually completed on a nice warm, sunny day, because after all St. Patrick's Day is fast approaching. Can you believe that we're only nine days away? While this wreath is "easy" to create, it's also very time consuming, so if you do decide that you're going to make one of your own, ensure that you have at least an hour to do so. Step 1. While you can measure and cut 12-13 inches of tulle, I found an easier way. 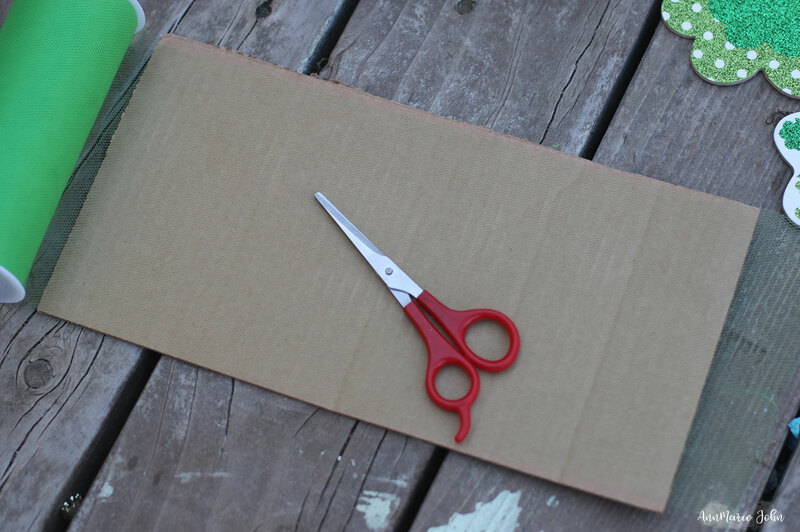 Begin by cutting piece of cardboard roughly 13" long. 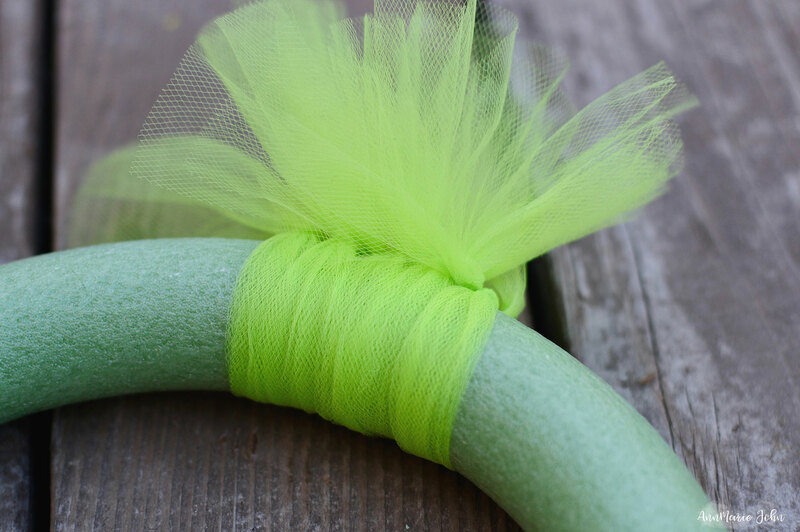 This makes it a lot easier for you to cut your tulle. 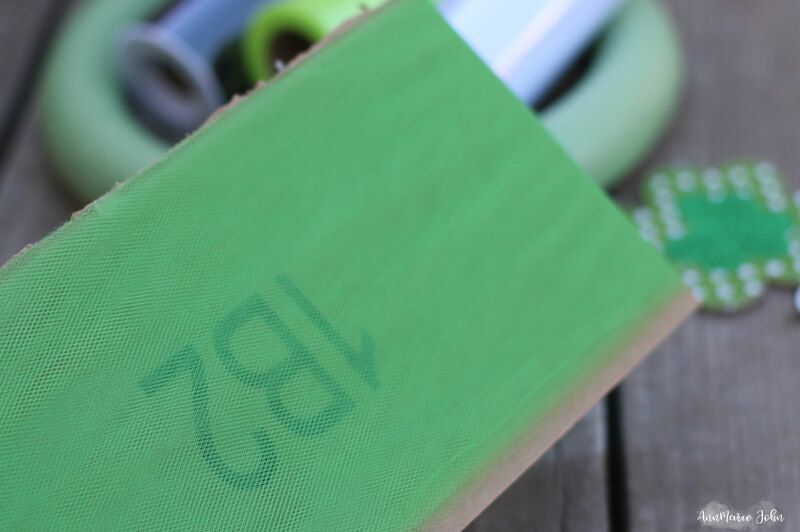 You start by wrapping your tulle around the cardboard until you're out of the roll, and simply cut at both ends. This leaves you with lots of pieces, all done in much less time than cutting them individually. You can see exactly what I mean by looking at the photos below. Step 2. For the next step we took 2 pieces of tulle and double knotted them around our foam wreath, we used 2 so that it would look a lot fuller. 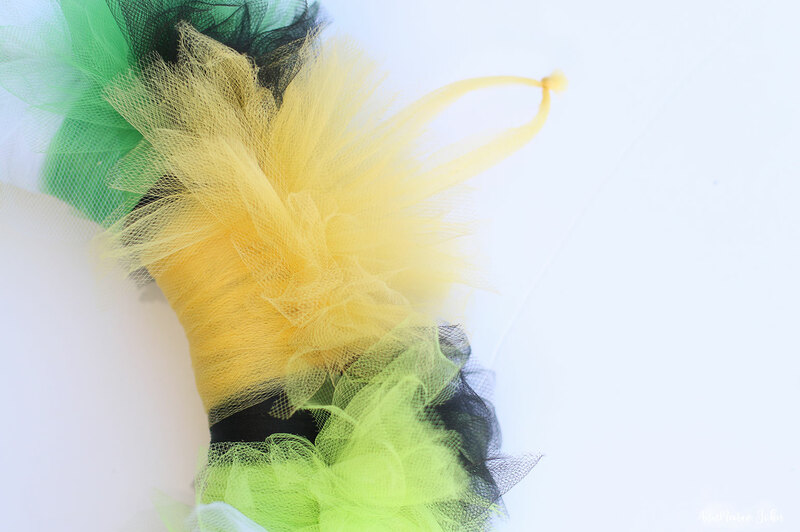 We did this step 5 times for each color that we wanted all the way around the tulle. That means a total of 10 pieces of tulle per section. I also used some yellow to represent the pot of gold at the end of the rainbow. 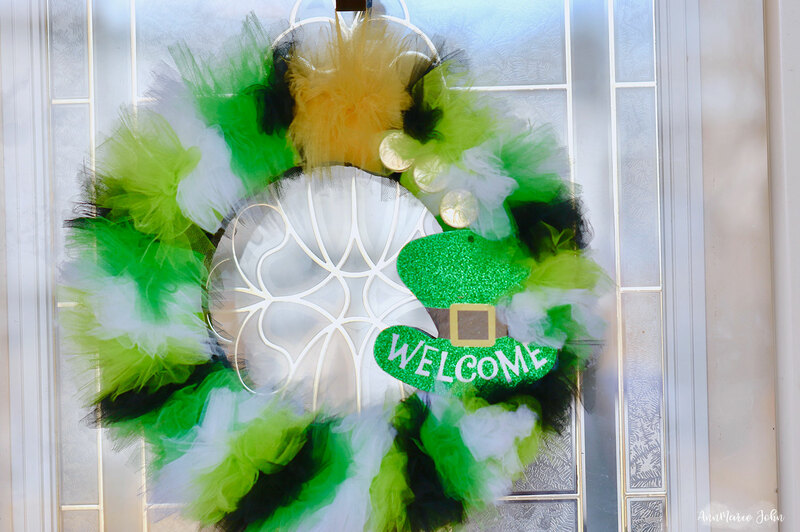 Decide where you want to hang your wreath and use a matching piece of tulle to use to hang your wreath on your door. Step 3. 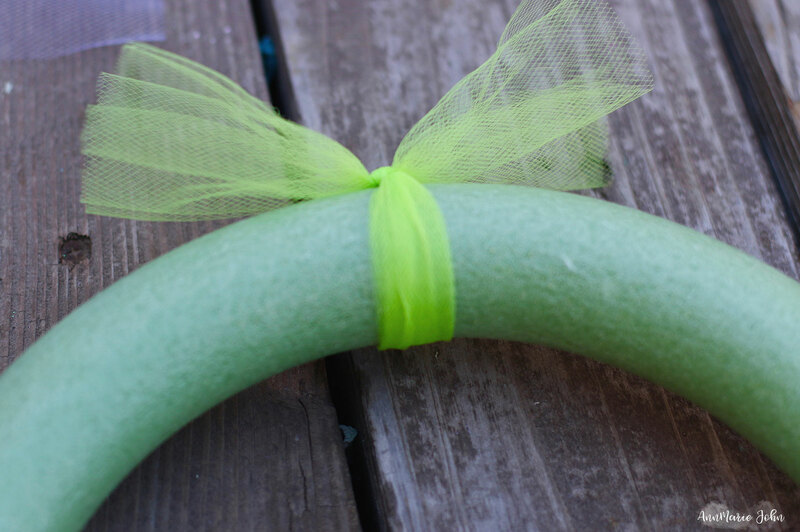 Finish by adding your decor to your wreath with your glue gun. 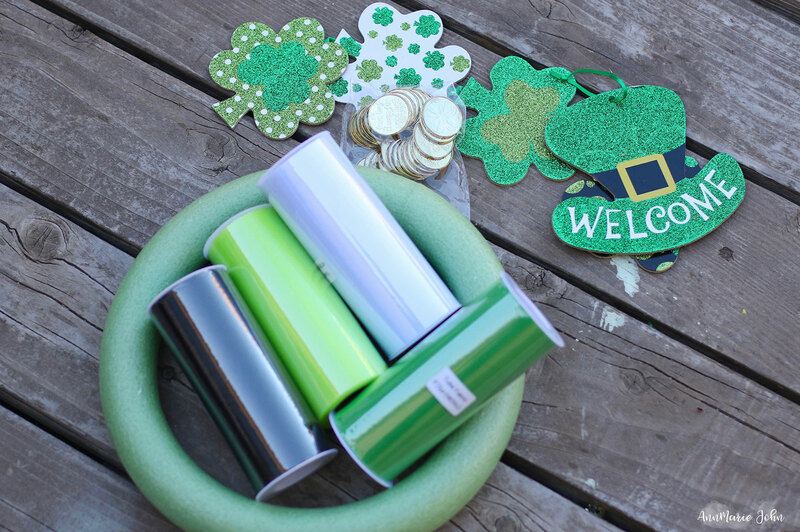 I used a Leprechaun hat that came attached to a few clovers that I picked up at the dollar store. Then I also added a few lucky coins leading up to the yellow which I named my "pot of gold". Step 4. 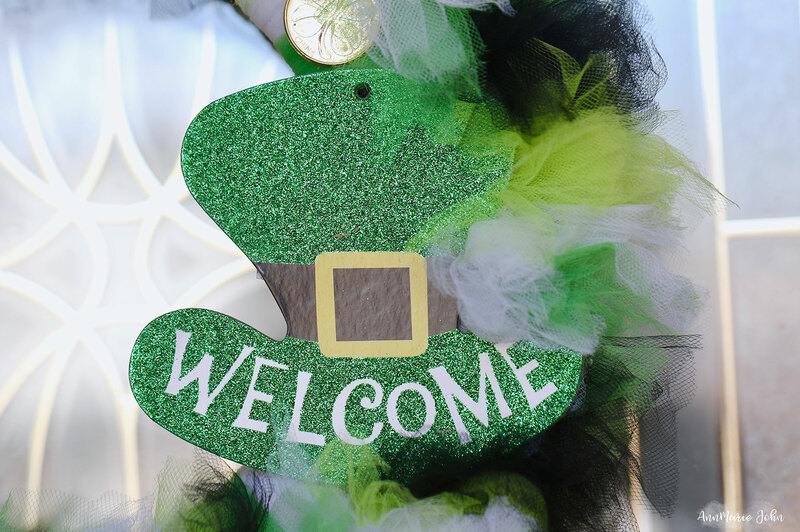 Now it's time to hang your St. Patrick's Day Tulle wreath on your door and wait for the day, and the Leprechauns to arrive.